One of the great benefits of being here for the whole season is that we can teach Christopher (4) and Sarika (2) to ski. 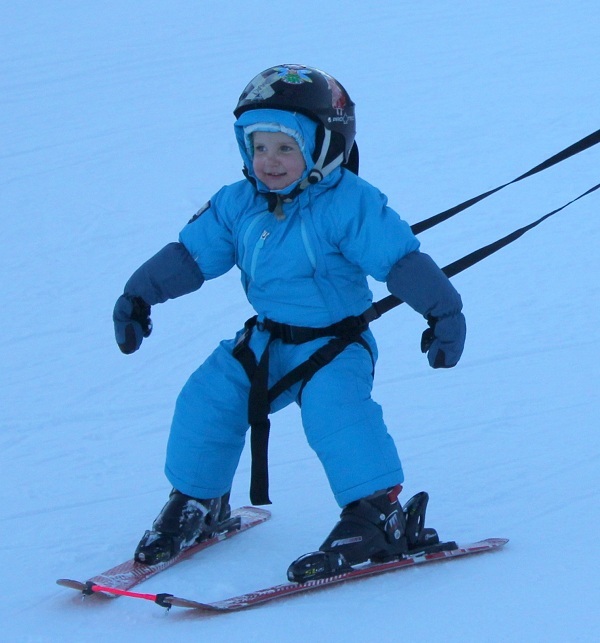 We knew Christopher would be fine, but we were not really sure if you could get a 2 year old to ski. There is a day care center here in Fernie, but they only allow kids to take ski lessons from 3 years old. So when we had the De Jager’s (Friends from South Africa) over for a visit, we decided to send Christopher and Diane (3) to the day care for 5 days to see if they can get the hang of skiing. They loved it. The 3 hours they spent there were divided into 1 hour ski, hour play inside and then again 1 hour ski. Sarika is not there yet, but it has turned out much easier than I was expecting to get her smiling down the bunny slope! She is progressing every time we go up there, and I expect she will go up a chair lift with us before the end of the holiday. You can definitely do this without the help of a ski school or day care. We didn’t want to spend a fortune on the ski equipment for the kids, especially for Sarika (2) since we were not even sure that she was going to get the hang of it. We could not really find a rental option for her, but we found great shop with second hand equipment in town. We were able to get everything we needed for less than $150 for Sarika. We found that the kids learned best and enjoyed it most in short bursts of 30 – 60 min. So we would go skiing in the morning and then go pick up the kids after their afternoon nap and then head back to the mountain. Between 1500 and 1600 is usually really quite on the carpet lift (mini moose). The first time we took Sarika we didn’t take the harness with. She really struggled, she could understand what to do, every time we try and help, she would completely relax and collapse. So the next time we took the harness and pointed her down the mountain and she took it right away. It also helped her to learn to shift her weight to turn by pulling one side. It was worth the money to get one of those. Sarika also struggled to keep the tips of her skis close together. We saw some of the other kids with a little attachment that kept the toes of the skis together. After visiting every ski shop in town, I eventually found some at the ski shop on the hill. They work well and made it much easier for her. The first day Christopher came back from day care he kept saying French fries – pizza, French fries – pizza. We didn’t understand what he was on about, but then he explained the ski instructor had told them to make French fries Skis parallel and Pizza – skis in a wedge. Sarika didn’t get it immediately on the snow, but once somebody went in front of her and showed her how to do French fries and pizza she started to copy quickly. There you go, I hope these tips for teaching kids to ski come in handy when you need to get yours on the mountain. 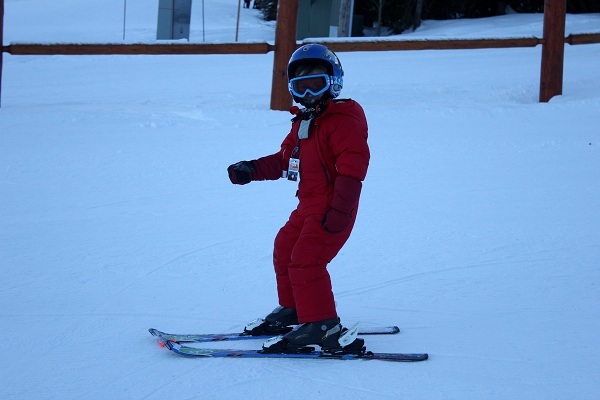 This entry was posted in Activities in Fernie, Fernie on 2013/01/12 by Justinus.